Bolivia is full of wonderful og mysterious archaeological sites. In the late afternoon July 2002, I was determinded to explore one of Bolivia`s greatest wonders near Puno, the Sillustani. Inspired from exploring another prehistoric site on my tour called Tiwanaku, I went out in the Bolivian highland and arrived just in time to experience the sunset. 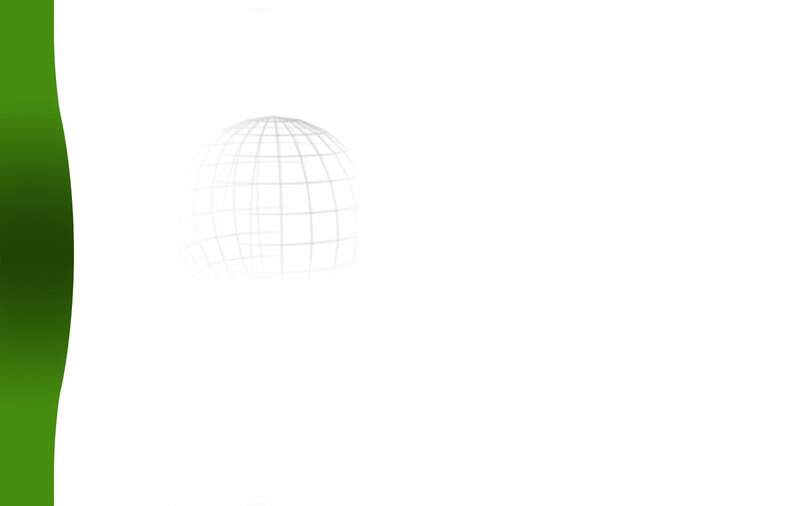 It gave the mysterious site an even more strange atmosphere. Viewing the ruines from the old Chullpas culture, with the clear blue Lake Umayo in the background, was an unforgettable moment that really turned me on. Photo. 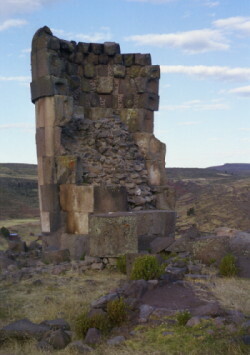 The funerary towers of Sillustani, near Lake Titicaca. Lake Umayo in the background. Around Lake Titicaca there are plenty of ancient wonders. Recent discoveries show also that land has been dry and inhabitated for thousand of years ago. The lake cover an area of 8,400 square kilometres, and is the largest lake in South America. The deepest point of the lake measures 284 metres. Sillustani is about 45 minutes drive from Puno and is well worth the trip. In the archaeological site of Sillustani, 34 Km north from of the City of Puno, on the shore of beautiful Umayo Lagoon, one runs into enigmatic chullpas, which were built by the Collas, some of which are more than 12 m. high. Used to bury the most important personalities of this nation, the chullpas know as Lagarto and Intiwatana are the most prominent. The beautiful dark blue waters, against the brown of the surrounding hills and the white of the Cordillera Real in Bolivia, is very beautiful. However, the lake offers more than just wonderful views, and the islands are the home to some of the most ancient traditions in Peru, with many different peoples living in the area. The area around Lake Titicaca, with the exception of the Amantaní and Taquile islands, where Quechua is spoken, are predominantly Aymara speaking. However, the area to the west of the lake is Quechua, and the lake is the meeting point of these two cultures. The Uros culture also comes from this area, although it has largely died out, and the Uros Islands are now Aymara speaking. Photo. Only the powerful were buried in the funerary towers of Sillustani, near Lake Titicaca. 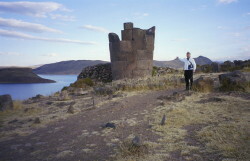 Sillustani is partly encircled by Lago Umayo and has an elevation of 3890 meters (12800 feet). Tiwanaku is located on the southern shore of the famous Lake Titicaca along the border between Bolivia and Peru. Read more about Bolivia on our website - ancient wonder and mysteries: www.TravelExplorations.com. The city of Puno is located in the south east corner of Peru, on the shores of the magnificent Lake Titicaca and only 126km from the frontier with Bolivia. At 3,827m in altitude, Puno is a rather cold and bleak town surrounded by the desolate altiplano (or high plateau). It is not so much a destination in itself but a necessary stop on the way to visit the islands on Lake Titicaca, or when crossing the border to Bolivia. Puno is, however, a melting pot of Indian cultures including the Aymara from the south and the Quechua from the north. This has earned Puno the title of 'Folkloric Capital of Peru' which it lives up to well with its huge number and variety of traditional fiestas, dances and music. For more information, take a look at the website for Puno Tourist Information: www.andeantravelweb.com/peru/destinations/puno . The prehistoric city of Tiwanaku is located on the southern shore of the famous Lake Titicaca along the border between Bolivia and Peru. During the heyday of this city was between A.D. 500 and 950, religious artifacts from the city spread across the southern Andes, but when the conquering Inka arrived in the mid-fifteenth century, the site had been mysteriously abandoned for half a millennium. Even after its abandonment, Tiwanaku continued to be an important religious site for the local people. It later became incorporated into Inka mythology as the birthplace of mankind as the Inka built their own structures alongside the ruins. Tiwanaku remains an integral locale in the religious lives of Andean people in the turbulent present of modern Bolivia. Although dozens of national and international projects began to unlock Tiwanaku's secrets during the last century, we are only recently beginning to piece together the puzzle behind the origin of this architectural marvel and the people who built it.